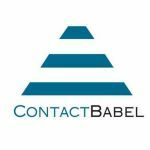 ContactBabel is the leading analyst firm for the contact centre industry. Kura and Inisoft recently commissioned ContactBabel to conduct research with the industry leaders to understand their perspective on the industry. Below is Steve’s view on some of the report outcomes. “Are you a Customer Service Leader or Laggard?” is a new White Paper based on over 100 interviews with UK organisations, which looks to understand the state of the industry from contact centre leaders’ perspective. The main driver for change to customer contact strategy is stated to be customer satisfaction. 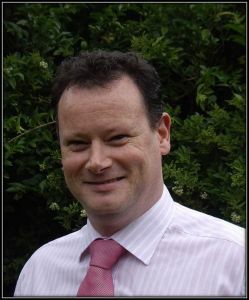 This is perhaps to be expected, but does not answer the real question – what do businesses actually have to do to improve customer satisfaction? To answer, we must look deeper into motivations and actions. The second most important strategy driver was not, as we might think, increasing sales or decreasing costs (the keys to business success), but in fact meeting customers’ changing channel preferences. In 2017, more than a quarter of interactions handled by UK contact centres were digital – email, web chat or social media – and as digital is growing so quickly, this strategy makes perfect sense. However, there is a disconnect between strategy and reality. Only 10% of contact centres strongly agree that they are increasing the amount of digital interaction training provided to their agents, a figure that is far lower than for soft skills or technical training. As such, the nature of the training is not keeping up with the job even as it is today, let alone how it will be in the future. It is also worth noting that far more survey respondents believe that increasing the amount of training is far more important than increasing its quality, suggesting that pressure on agents’ time is still a very real issue for most operations. Only 16% of survey respondents say that their agent morale is very good – however, only 7% admit to it being poor. A similar pattern emerges when looking agent performance: 13% say it’s very good, and only 2% say that poor. Clearly there is room for improvement, but few are pressing the panic button. When asked what would increase agent morale, high salaries was the no.1 choice, but as paying agents more money for doing the same job would not in itself improve performance, a widespread general salary increase is unlikely. There were two actions that featured high in the charts for improving both morale and performance: giving agents the empowerment to make decisions that help customers, and providing them with the technology in order to do so. As the number one factor most improving customer satisfaction is consistently stated to be first contact resolution, improving the systems, processes, culture and training to enable agent empowerment would in itself impact positively upon customer experience. But this comes back to the first point made: customers’ changing channel preferences are driving a lot of the contact centre strategy, but there is generally little increase in digital training. One of the keys to morale and performance is being able to actually do the job, and with digital channels continually increasing in importance, agent training should be more focused upon this. To learn more about this research or download the white paper, please click here.